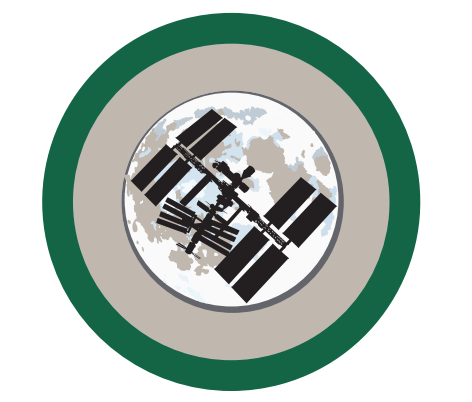 Below you will find the requirements for the Space Badge. Your local RASC centre will be able to help with many of these activities. Specific topics that the RASC can help with through Observing Nights and Star Parties are in bold. Contact your local centre to learn more. Have you ever imagined living on another planet? Read a science fiction account or watch a movie based on this concept. Join your local RASC centre on an observing night or visit a planetarium and catch a glimpse of places in our solar system where a space base might be built, with the right equipment and conditions. Design a space base located on terra firma (firm ground) within our solar system. This may be on the moon, Mars, or an asteroid. Make drawings or a computer design. Now make a model of your space base, including the actual base as well as the landscape. Share your model with a Beaver Colony or Cub Pack, then lead the other youth in a space-themed activity or game. Idea 2: Three, two, one... Blast off! Find out about building model rockets. Who sells the kits? Do you need a license to buy the engines? What kits are available and which one would be a good challenge for you? If you've never built a rocket before, start with a smaller kit and then proceed to a more challenging one. Build your rocket(s). What will you need to do to get the best height, smoothest flight, etc.? Launch your rocket(s). How will you figure out how high it flew? Recover the rocket and examine it. What can you learn about its flight from how it looks? Build and operate a robotic rover. Visit your local Scout Shop to borrow the STEM robotics kit, and follow the instructions provided. What can you learn from this robotic rover? How have such devices been used in space? Build and operate a solar vehicle. How might such a vehicle be useful on another planet? Spend an evening stargazing. Consider making arrangements with your local RASC centre, who can provide telescopes and expert guidance for observing. Build a model solar system. Try to make it to scale. Design a series of collector cards, with pictures on the front and information on the back, about your favourite space pioneers. Develop a "space" game to play with the cards. Imagine that beings from another planet arrived on earth. Do you think that they would be greeted in peace or immediately contained or killed by the people of earth? Host a debate for your Patrol or Troop on this topic. What is required to become an astronaut? Explore the Canadian Space Agency, NASA and other space agencies. Find out about Canadian astronauts who have been to space and how they were chosen. Plan a stargazing night with your Patrol. When looking at the stars, make up your own constellations and the stories behind them. 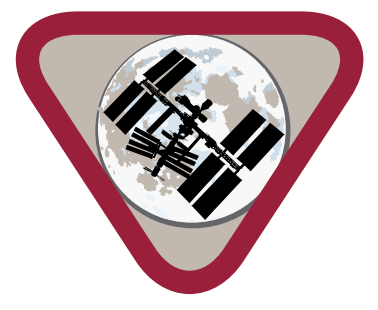 Follow a space mission for a month or more. Collect information, newspaper articles, photos, etc. and organize them into a story about the mission. Do you know how telescopes work? Make your own telescope and use it to look at the night sky. Could there be life on Mars? What does a planet have to have to support life? Imagine the technology that could help us to find life on other planets. Share the design for your invention with your Patrol. How does the moon affect the earth and its oceans? What experiment could you do that would demonstrate these effects? Ever see the "man in the moon" or the "rabbit in the moon"? What are you actually seeing? Check out a map of the moon's surface. Scouts and Cub Scouts badges have very similar requirements, Find the Cub Scouts requirements below. Set yourself a goal of learning to identify a number of things in the night sky, including certain stars, constellations and planets. Watch the moon every night for a month. Record what you see with photos or drawings. Learn Aboriginal stories for some of the constellations. Share the stories with your family or your Lair. Looking at the stars, pick a constellation, decide how you would describe its shape and make up your own story for that constellation. Learn about telescopes. How do they work? How do they help us see in space? Visit an observatory or a RASC observing night or star party and discover what you can see at night through telescopes. Using papier mache or modelling clay (or any other materials), create a moonscape. Label craters and other landmarks. If you wish, add a moon base of your own design. Teach a younger sibling or Beaver Scout how to find the Big Dipper in the sky. Create your own star show. Cut circles of black paper the size of the top of your flashlight. Poke holes into black paper in the shape of a constellation. In a darkened room, shine a flashlight through the black circles, projecting on to the ceiling to create your show. This also works using aluminum foil instead of paper. Is there a RASC centre or astronomy club in your community, or in a nearby community? What does the club do? When do they meet? Arrange a visit for your Lair or Pack. Several superheroes are said to come from space. Create your own superhero from space. Consider what your hero's costume will look like, what powers your hero will have and what brought your hero to Earth. How were the craters created on the moon? What made them? Create an experiment to make craters in a sandbox. Have you ever built a model rocket? Try a simple kit. With adult help, purchase an engine and launch your rocket. Learn about safety precautions. Take photos of the whole build and launch. Would you like to be an astronaut? Would you like to live on the space station? How do astronauts eat in space? What do they wear? How do they wash, shower and go to the bathroom? What is the biggest challenge? What is the most fun?